I love mysteries. When I was a child, I read every Erle Stanley Gardner “Perry Mason,” and “Ellery Queen Mystery Magazine” I could find. Recently I purchased a kindle book with an intriguing title, only to be disappointed that it wasn’t a mystery. I finished reading it and left a review for the author, but I didn’t enjoy it as much as I enjoy mysteries. So much of life is mysterious, especially in our human relationship with God. I’ve often asked God, “How do you do it? How do you give me ideas for books and help me write them?” Some might mistakenly claim that I labor under false humility. I don’t. God writes; I type. I have 19 published books. My hope is that readers will enjoy “The Fog Busters—Old Bones Detectives.” Alec is nearly blind, John and Peg are nearly deaf, Morag is on a crutch, and the two youngest members of the amateur detective agency—Rory and Susan—are 60. The clean-reading, Christian cozy mystery is intended to entertain older readers, but the gentle humor should entertain readers of any age. When the Lord gave me the idea for the new mystery series two years ago, I made excuses for not writing them. I told God that I couldn’t write older Scottish characters because, having grown up in Texas, I wouldn’t understand Scottish-born people well enough to write convincingly. When I quit making excuses and started writing, the Lord took over. “Black Pudding Murder” will be released soon. It’s been fun to write, but the real mystery isn’t in the book…it’s in how the Lord got involved to make it happen. Jesus told His disciples, “To you it has been given to know the mystery of the kingdom of God.” I guess even God is into mysteries. With twisted, interlocking branches and broad, sharp needles, it might indeed prove difficult and puzzling to climb one of the trees. Monkey Puzzle trees mainly serve as distinctive focal points for gardens. They have edible seeds, but it takes up to 40 years for the trees to produce seeds. While they are labeled “hardy,” Chilean pines can not tolerate exposure to pollution. In the pattern which He planned. Without pain and sorrow, would we appreciate joy? Without hardship, would we enjoy comfort and success? 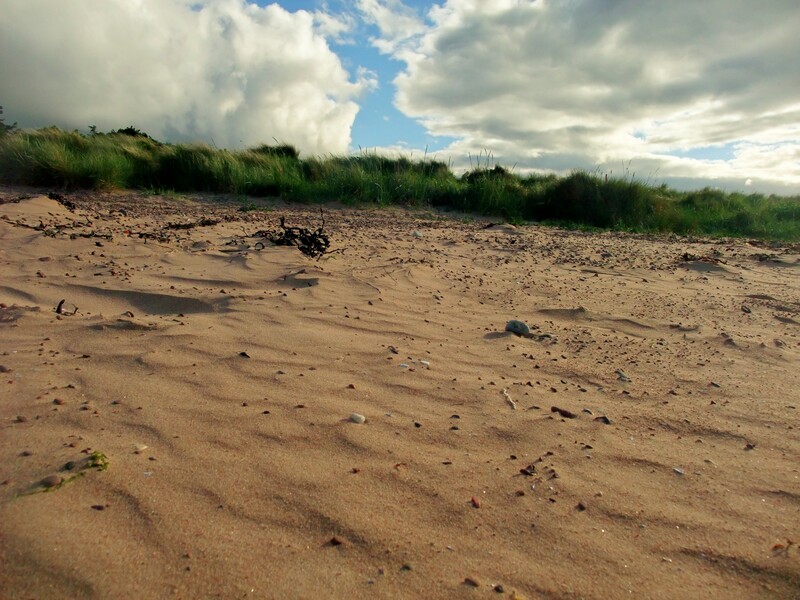 Without the shadow of death casting itself over our lives, would we live each day to the fullest? Would a lack of opposites turn us into apathetical, ungrateful people? That’s a puzzle. God holds the connecting pieces. 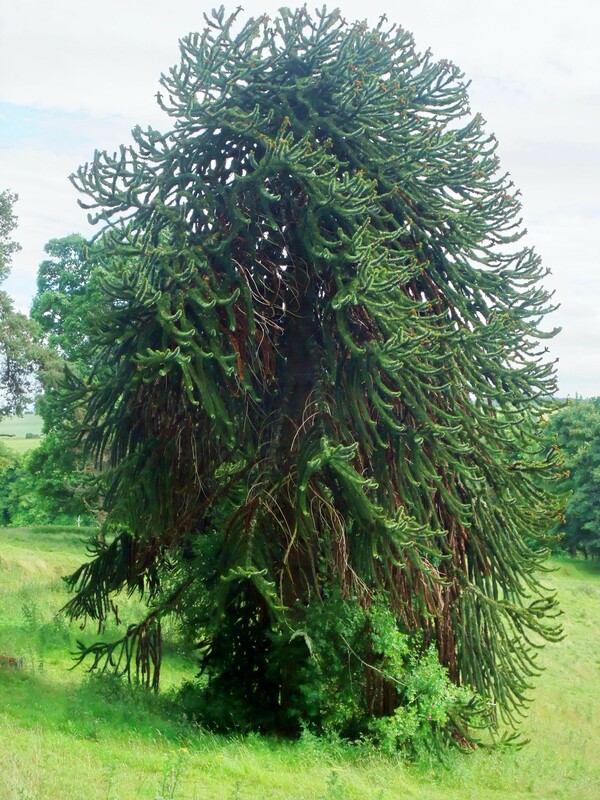 Like Monkey Puzzle trees, Christians should produce seeds in our lives: love, joy, peace, longsuffering, kindness, goodness, faithfulness, gentleness and self-control. Just as it takes years for Monkey Puzzle trees to produce seeds, it takes time for believers to produce Christian fruit. A Monkey Puzzle tree might puzzle a climbing monkey, but as Christians – we should not allow unforeseen and unexpected tragedies and trials to puzzle us. We may not be wise enough to know the answers to all lives puzzles, but we know Jesus. He holds the connecting pieces. Bandera, Texas, “Cowboy Capital of the World,” used to be called the place where misfits fit. It still is (as Three Prongs) in the Christian mystery-romance-suspense book Bridge to Nowhere, published by Sunpenny. Ross was a deaf mute. He rode his tractor up to the main road and caught a ride into town, visiting with friends at the coffee shop. He talked with his hands and everyone understood him. Harold Jenkins was so twisted and gnarled from birth that he frightened children. His hands were like claws and his arms were bent and deformed. His face looked like it had been trampled on and then half-eaten by a wild hog. He had a heart of love that made him beautiful. He loved Jesus and told everyone. He was a volunteer ambulance driver and firefighter. Occasional unkind remarks claimed that Gerald wasn’t much smarter than a mop. But even those who questioned his mental capacity lauded him as honest and hardworking. He rode his bicycle into town each day and waited until someone hired him for the day. He was always positive and never complained, even when he was dying of cancer. Lou Colburn was long labeled a “hopeless alcoholic.” Then he got saved and exchanged the bottle for Jesus. He led trail rides, entertained guests at a local dude ranch and eagerly shared his salvation experience. Lou had TEXAS written in gold across his teeth. Three sisters. I’m the author of Bridge to Nowhere, Love’s Beating Heart, Heart Shadows, Shadow Chase and Until the Shadows Flee. I’m blessed to be married to author Alan McKean, author of time travel adventures The Scent of Time and The Scent of Home. I am also blessed to have an extraordinary son, Luke, in the U.S. Marine Corps. Leslie P. Garcia is the author of Unattainable. She has four lovely, talented children – all teachers and coaches – and nine great, lovely and talented grandchildren. Vicky Potter is a talented editor and animal trainer. Her dogs visit in nursing homes and children’s homes, bringing joy to the housebound. Her dog Lucius is a star now in the musical Annie. Abortion advocates believe that children in the mother’s womb who might experience physical or mental problems should be killed. Scientists are taking two or three human eggs, removing genetic imperfections, and putting the eggs together to create perfect babies. Had they tested us three sisters in our mother’s womb, we might never have been born. All three of us inherited a genetic weakness in math. And how much poorer the memories of Bandera without its “misfits” – who fit? Today I was feeling honored and blessed by God for having been allowed to write the pro-life teen & up action, adventure, romance Love’s Beating Heart. I was thinking about a world in which only perfect people were allowed to live. (Yup. I’d be out!) Without the Harold Jenkins of the world, how would we learn that true beauty is on the inside, not outside? How would we learn to look past the face and see into the heart? Without a Ross, how would we learn to really listen, even without words? Without a Lou Colburn, life would be boring. Without a Gerald, how would we learn that God creates gifts and places them inside each individual and a person doesn’t have to graduate at the top of the class to be a success. Without people who are allowed to live in spite of their imperfections, would we learn kindness? Would we learn to be thankful for our own strengths? Would we have the chance to be a blessing to others by helping someone less fortunate than us? Every life is precious. Every life is a gift from God. A world of perfect people would be horrible and twisted…and incredibly sad and empty place.